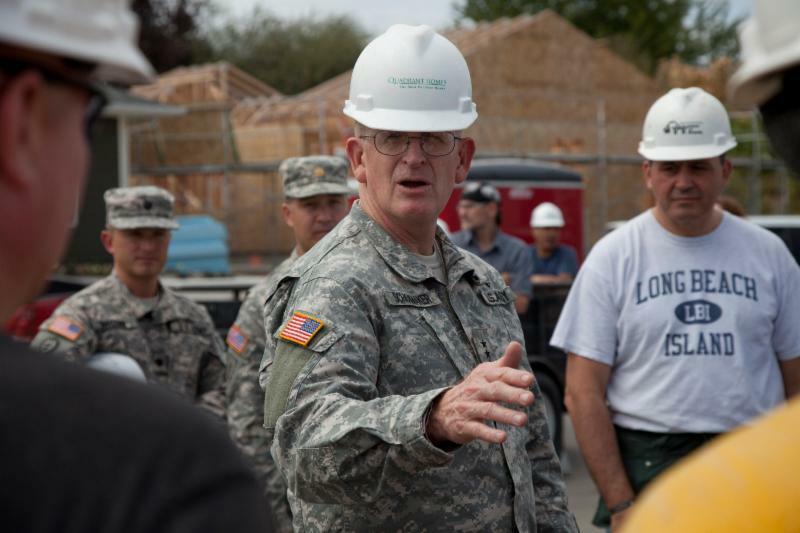 Volunteer build days at the Gold Bar Veterans Build site begin this month. Though the build schedule is full until the end of June, we are looking to fill build dates in July and August. Our hope is to engage as many veteran and active-duty volunteer groups on this project as possible. We also have a few sponsorship opportunities still available for corporate groups who are interested in coordinating a build day. Please contact volunteer@habitatsnohomish.org if you’re interested in signing up your team for a volunteer build day. We also need lunch donations! Our organization provides lunch to all builders every Wednesday and Saturday throughout the course of the build. If you are interested in donating lunch for our dedicated construction volunteers, please contact 425-405-7156 or volunteer@habitatsnohomish.org . 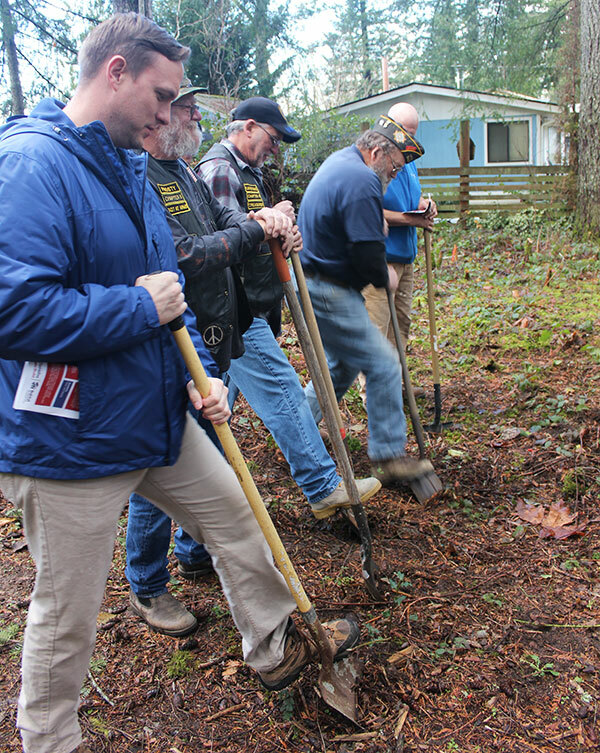 Pictured left: Veteran volunteers break ground at the Gold Bar build site. Smokey Point Store volunteers continue to help prepare for the store opening this spring. Interested in helping? Please sign up to assist with store set-up here . ﻿If you have not yet attended an orientation, you will be prompted to do so. Volunteers will also be needed to help with day-to-day store operations once the Smokey Point Habitat Store opens this spring. 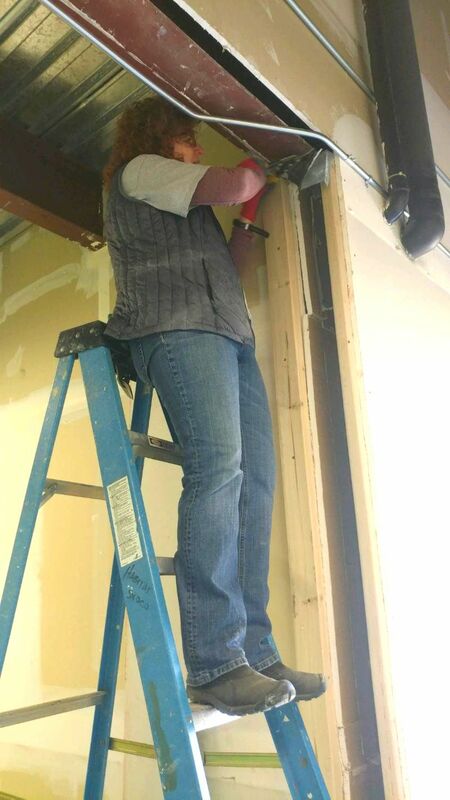 Pictured left: Kippy Carlson, an Everett Habitat Store volunteer, assists with interior construction at the Smokey Point Habitat Store. 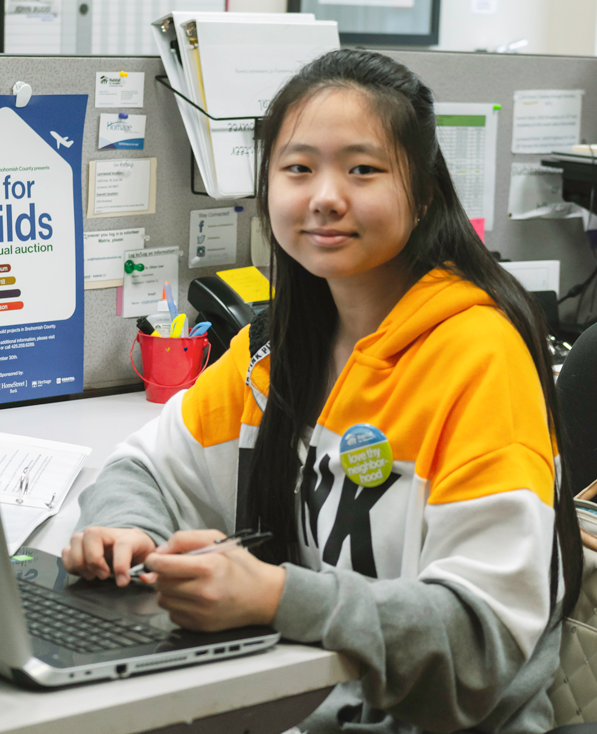 Elizabeth Choi volunteers at the Habitat Snohomish administrative office after school one afternoon each week. Elizabeth is a senior at Kamiak High School with plans for a career in medicine. As summer approaches, she will move on from her 18 months at Habitat so she can work to save money for college next fall. Though she has not yet selected a school, Elizabeth has been accepted to the following universities so far: University of Washington, Boston University, UC Irvine, UC San Diego and UC Davis. Photo of Elizabeth Choi by Jason Brown. Elizabeth manages our volunteer recruitment postings, responding to interested volunteers and providing further information about Habitat Snohomish. She also provides direction to potential volunteers for the next steps in signing up to volunteer. Elizabeth and another office volunteer helped develop the online posting procedures and Elizabeth maintains these postings weekly. She will train the next volunteer to take on this project. Elizabeth and all volunteers are essential to our organization because they assist staff with their workload, freeing staff time for additional projects. Everett Habitat Office: April 9th & 23rd at 4 p.m.
Lynnwod Habitat Store: April 2nd & 16th at 4 p.m. If you have time and expertise to share, we currently have opportunities to apply for our Board of Directors and/or join a committee. Committees include Resource Development, Faith Relations, Veterans Build, Construction, Family Services and Real Estate. For more information and a description of these opportunities, please contact volunteer@habitatsnohomish.org .